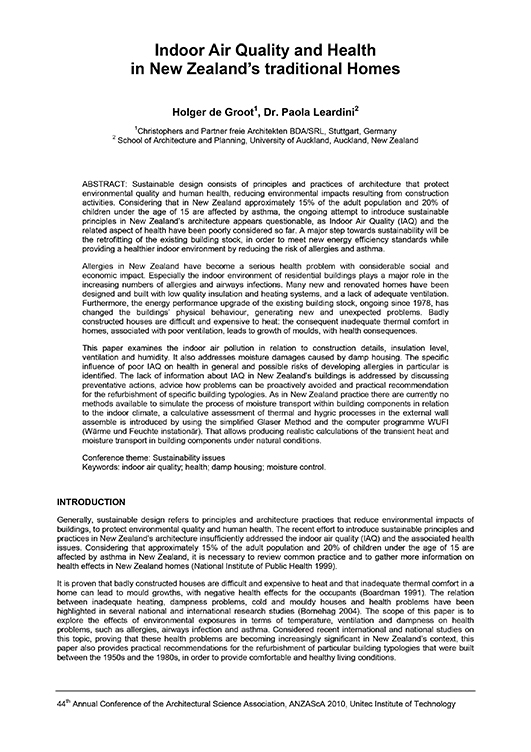 The submitted paper examines the indoor air pollution in relation to construction details, insulation level, ventilation and humidity. It also addresses moisture damages caused by damp housing. The specific influence of poor indoor air quality on health in general and possible risks of developing allergies in particular is identified.